The office is clean, conveniently located, with good parking and has very modern equipment. The staff is always kind and friendly and they usually have some kind of cute contest running for the kids. Dr. Caggiano is excellent. Conservative in his approach – he’s not going to stick someone in braces who wouldn’t benefit from them. I feel he keeps his patients’ overall well-being and their end result in mind when recommending a course of treatment. We recommend the practice to anyone looking for an orthodontist as an adult or for their child. Doctor Caggiano and staff are always a pleasure, they made getting braces for my daughter much easier and we always look forward to seeing them. The wait time is never lengthy and the waiting room is comfortable. Overall the experience always a good one! I’m so glad we found them! There are several things I really like about this place, first the employees are always helpful and seem like they genuinely want to help, not just because it’s their job. Second, even with a crowded waiting room it was still comfortable, and there was enough “movement” with patients going in and out, that better seats or different seats became available very quickly. I will be honest, I have lived here for over 7 years and never imagined what a hidden gem this office is, I will refer anyone that ever asks to your office. Thank you. This is my second time. I completed treatment for my son 3 yrs ago. I am back for my daughter now. Very professional and extremely friendly staff. 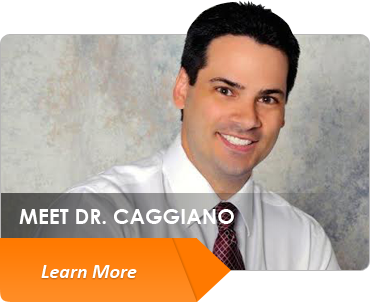 Dr. Caggiano is an expert at what he does. He makes kids very comfortable and at ease while he does his job. His staff is always welcoming, smiling and attentive. I have had no issues in terms for waiting, billing, appointments etc. I highly recommend them. We love Dr. Caggiano and the whole staff! Never been to an office with soo many nice people. 🙂 We never have to wait long either. answered all our question. As soon as you walk in, you are greeted. Totally recommend! Yesterday my sister Gabby and I had a scheduled visit with Dr. Caggiano…Gabby was eager to find out if she will be getting her braces off. Hooray! we found out that she will be getting her braces off on Wednesday….Thank you Dr. C. you have made my sister very happy and her smile is awesome! Now we both have great smiles for mommy to be proud of – we would like to say thank you to the nice people that work there especially Christian and Tiffany who are great and make us feel at home!!! We love to visit Dr. C. he is the best!!!! We looked at the parking lot and thought…”Wow, this will take a while” because there were so many car. However, as usual, Joseph got right in to his appointment in a timely way. That is helpful for the mom that has to go back to work and the kid that has to get back to school. I so appreciate this! Thank you! Always a great experience at Caggiano Orthodontics! My girls were always happy after their appointments and their teeth look great now that their braces are off! Everyone, for the past two years, were outstanding, each and every time we had an appointment. I would recommend Caggiano to everyone! And the results for my daughter were beautiful. Love, Love, Love Caggiano Orthodontics. We were just told my son may only have one more week to get his braces off… what a fantastic job, always a pleasure to go to his office. They are friendly and very efficient. Thanks again Dr. Caggiano and staff for all your great work… I would highly recommend them to anyone, and I try to tell as many people as possible of their work. Everyone was very pleasant. The office is organized especially given the flow of patients. I found Dr. Caggiano personal and knowledgeable while providing detailed information on my son’s status. I would recommend. All I can say is I understand why everyone I know goes to Caggiano Orthodontics. Very thorough consultation. EVERYONE, from the moment we walked in the door was friendly and professional. We had all our questions answered and I completely understand what my son will likely need when he returns in a few months. Most important, however, was that my son felt comfortable and is not fearful at all about the thought of needing braces. Thank you! This was my son’s first visit to an orthodontist and everyone made him feel so comfortable. He was able to ask questions and understand exactly what he should expect. He left there feeling confident (despite the fact that he was told he would have to wear a face mask :)). Thank you for making this process so easy. Dr. Caggiano is one of the best orthodontists in Parsippany, NJ. I can’t wait for my next appointment. Very positive environment filled with great people. Excellent quick service and they have the best staff in Town. I would definitely recommend Dr. Caggiano for the treatment. Great service, friendly staff and office atmosphere. I would recommend Dr. Caggiano to anyone! My daughter, Ashley, got her braces on yesterday (1/19/2015). Since the staff is always so kind and comforting when we would go for her “pre-brace” appointments, Ashley was not nervous at all. We were done in less time than expected, and everything was clearly explained to us as far as care and what is expected from Ashley (to wear her rubber bands:). Before we left, Ashley was handed a bag with a kit to help her properly care for her teeth and gums, as well as a very carefully thought out selection of soft foods for when she went home. I am so grateful to have found Dr. Caggiano for my daughter. It is rare to find so many caring people in one office. Dr. Caggiano’s office is simply the best. The staff are very friendly and helpful. I always see them smile. I feel very comfortable and confident in the office. I believe I have found the right place and the best place. Patient is my daughter. We always receive prompt, efficient and so friendly service from your staff. Everyone is so nice and HAPPY!!! (are you pumping laughing gas through the vents? lol) Seriously, everyone is so nice and happy I want to get a job with you! Clean space, well-trained friendly staff. Very knowledgeable. Love this place! My son has his braces put on yesterday. It took nearly no time before they were done, and he said that the procedure was painless. I’d been expecting something quite different and was happily surprised. I highly recommend this orthodontist! Christian was patient with my son and spent plenty of time going over exactly what was to be expected and how Philip should care for his new braces. He answered all of our questions. Dr. Caggiano came over to make an adjustment and check on Philip one last time before we left. The receptionist was able to accommodate our schedule for the follow-up appointment in June. It was a very positive experience. Dr. Caggiano and his staff was very professional, thorough, and friendly. My 13 year old son felt comfortable and was actually happy to begin his Invisalign procedure. I highly recommend Dr. Caggiano. Dr. Caggiano has been great and my son’s mouth has changed dramatically in such a short time! He had an underbite and with the aid of an expander, within a few short months, he doesn’t have it anymore! Dr. Caggiano’s office is friendly, professional and organized. I would highly recommend! I actually got my braces put on by David and they’re amazing . I have nothing bad to say at all about them !! Great doctors, great staff, in & out in less than half hour for adjustments after initial braces appointment. Highly recommend. Always a wonderful friendly staff! My older two children finally have beautiful teeth thanks to Dr. Caggiano and staff! I am back with child #3 and so excited for her wonderful results! Highly recommend Caggiano Orthodontics! Our experience with Dr. Caggiano has been fantastic. Would highly recommend him to any child or adult searching for a Orthodontist. Nothing but a positive experience! Very friendly and explains the process thoroughly to the kids and parents. The Caggiano’s office staff and employees are the best!!! They are organized, smart, cool under pressure and so nice! Although my eldest is almost finished with he braces treatment, we have 2 more potential patients! And I feel very confident that their experiences will mimic the ones we’ve already had!! Happy Holidays! Nick had another awesome visit. He talked with whomever put his bands on and found out they both loved pro soccer. The staff was friendly and smiling. Dr. Caggiano was there to check on the progress and all looked good. The only reason we gave one star less was because the wait was almost 30 minutes…..which isn’t bad at all for a doctor’s office, BUT with 2 siblings in tow……. We are constantly recommending the Caggiano office for prospective brace wearers!! We are very happy with the care and attention Nick receives. The office is definitely a well-oiled machine. THANKS! Have a great summer! My son, Nick, had his braces put on this past Saturday morning. The entire staff was welcoming, friendly and calming to us. Although Nick couldn’t wait for braces, he was a little nervous about having them put on. He shouldn’t have been! His braces were put on in a comforting manner with lots of talk to keep his mind busy. Dr. Caggiano even allowed a colored set of front braces just because. Upon completion, the directions were explained very thoroughly to us about what to eat and how to clean. We scheduled the 8 week check up and can’t wait to visit that friendly office again! By the way, this is our second attempt at orthodontics and we are amazed at the difference! This is a clean, comfortable, friendly, cohesive place! Our dentist, Dr. Kimowitz, recommended your office and we are very happy he did! Great Staff! Always friendly, and makes sure to get to know you as a patient. Works with insurance company through all the paperwork making it easy for you as a patient. Easy to find location. And overall just great service. Caggiano Orthodontics is an amazing orthodontist. I would highly recommend this orthodontist because the staff is very accommodating, and they make the entire process of braces much more enjoyable. Caggiano Orthodontics took my once crooked teeth and transformed them into a perfect smile. Throughout the entire process, the staff was kind, honest, and understanding with me and my parents. I never dreaded going to get my braces adjusted, and I am elated with the result that CO has provided me. THANKS CO! It’s a great place. The staff was extremely friendly and helpful. Dr. Caggiano is very nice and thorough. Office is updated and clean. Overall it was a great visit! Everyone is friendly and they work together to get you the best results! So far things are going great. Love how our daughters teeth are progressing and it’s only been 5 months. Still have a way to go but all in all we are pleased with our choice in Dr. Caggiano and his staff. I have 2 children under Dr. Caggiano’s care- both in different stages of treatment. I have found the office staff to be supportive and cooperative, on all issues from billing to appointment changes. The treatment has been stellar and Dr. Caggiano and his techs take their time and make the kids feel comfortable. My son is very hard on his braces, and I have not been billed for every little wire and bracket replacement like at other orthodontists. I have been recommending Dr. Caggiano to others!! My daughter, Kathleen, is eleven years old and just about ready for braces. Dr. Caggiano and his staff are wonderful! The level of professionalism and customer service is not matched anywhere. I would never even consider bringing my daughter anywhere else for treatment. Thank you Dr. Caggiano! Dr.Caggiano’s practice is the best in class in both quality of care and expertise. They work with each patient on a case by case basis. I am glad I chose them. Best Orthodontics in Parsippany area. Scheduling appointments is hassle-free and no long waiting times at the time of appointment. Office is clean, staff is great and the doctor makes every effort to bring out the best smile. High tech equipment and qualified staff who know how to use them. I am on retainers and he was kind enough to supply me a replacement retainer and check the fit when the first one broke. I have and will recommend this practice to anyone who wants to get braces. It’s been 6 months since my daughter had her braces put on. 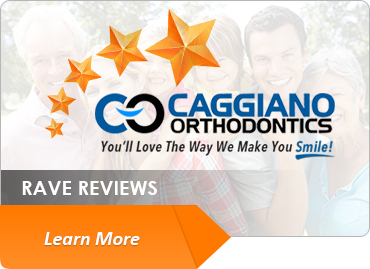 I felt comfortable with Caggiano Orthodontics from day 1. Many of her friends are in braces or getting them. Thus, I often have the opportunity to speak with the parents; it’s clear to me that the process at Caggiano’s office is far more comfortable than any other I’ve heard about. We are really happy we chose Dr. Caggiano for her orthodontic care. The staff is friendly, knowledgeable, and efficient. Whether it’s the technician, or the office staff, you are in capable, professional hands. I trust them. No goopy molds, braces were put on both top and bottom at the same time. You aren’t rushed through your initial consultation or first appointments. All questions answered. Dr. Caggiano examines and talks with my child and ensures that everything is going exactly the way it should. This office has every single thing you are looking for in an orthodontist. They are fast, very knowledgeable, and extremely friendly. Not to mention they have two TV’s, a kids play room, and complimentary coffee to offer in the waiting room. You may not even have the time to change the channel they get you in so fast. Dr. Caggiano has been practicing for years and was even there when I had my braces put on over seven years ago. And in that time, the office has continued to provide excellent service to many people before and after me. His staff is extremely friendly and they know how to get the job done right. Many of my friends, their family members, and even my brother have gone to Dr. Caggiano, and never once have I heard a negative comment. If you live in Morris county, or don’t mind taking a drive, I would highly recommend you take advantage of the service they have provided for years. May 2014 – Very Accommodating, missed appt 3 weeks ago. Called and received same day appt! We were 15 minutes early and in/out in 20 minutes. Now we don’t go back for 6 months. 6 months ago – Caggiano Orthodontics is a very professional office. With their appointment times and check in set up in a computer everything is perfectly timed and carried out. When you sit in one of the chairs you are directed to by on of the assistants, they take care of the beginning of your appointment, and Dr. Caggiano comes and finishes off the job and make sure everything is going to plan. Caggiano Orthodontics has your braces put on and taken off in the shortest amount of time possible (if you follow his rules). Also all of the staff (there are a lot of staff members) are all so very friendly. Friendly office staff and great honest feedback! Love everyone at Caggiano Orthodontics. My daughter is “in between” rounds of braces now and actually looks forward to going in for her next visits. The difference in her teeth after her initial expansion plate and braces is amazing! Add that to everyone being so kind in the office makes for a GREAT experience. We have been visiting Dr. Caggiano’s office for almost 2 years and have had a great experience. The office staff is very organized and they not only speak to me about my daughters orthodontic progress/health but they speak directly to her and that seems to really put her at ease. Dr. Caggiano spends time at each visit with my 13 year old daughter and explains next steps directly to her and areas for improvement …. I have (and will continue to ) refer Dr. Caggiano’s office to friends. The office and staff are very pleasant and helpful. My son adores everyone there! My only suggestion would be to put cartoons or funny shows on the TV. The news is always on and its not the best news (murder and crime) for some of the children to watch in the waiting room. Thank you! Explained all of the diagnostic testing, explained all results and plan of action, talked to my daughter and asked her if she had questions. Very user friendly, hands on, down to earth and sympathetic. My son’s expander broke in his mouth while in school. The staff gave him an appointment right away the following morning. He then was able to have his 8 week visit that day instead of having to come back the next week when our appointment was originally scheduled. Thank you to the doctor and his staff, for making things so convenient. My daughter just had her braces put on today and it couldn’t have been an easier experience. The staff is always accommodating and professional. My daughter loved her goody bag and made sure she ate everything as soon as she got home! lana had her pictures taken and the required exams, she was so excited about getting braces. A few days after she finally got her braces on!! So happy to show them off at school. At first she was in pain, but today after a week she is all good, she can eat better. I am really sure that her smile will be as good as mine. I really trust Dr. Caggiano’s work. The stuff is always so friendly and very understandable with kids. Caggiano Orthodontics is a really great place, my dentist recommended to me, I am an adult and I am very happy with my braces, it has been a great experience so far and the best with little pain!! If you are thinking in a braces treatment for yourself of your kids this is the best place to go. Also all the stuff is very friendly :). I finally lost my last baby tooth on my last visit, as always Doctor Caggiano pulled out for me!! So exited that soon I will get my braces. My smile already has improved so much and I know once my treatment is completed It will be so perfect, as always every one in the office is so kind and friendly, definitely the best choice my Mom made for here and now for me. My dad friend refer me to the Dr. Caggiano. He is very good, and I am very happy the way my teeth looks. I will ask everyone who want the best smile to go see Dr. Caggiano Thank you Dr. Caggiano! My daughter has been a patient since 2012, for a palate expander and braces, and we have had a wonderful experience with Dr. Caggiano and his excellent and professional staff. We are always seen and scheduled promptly, but we are never rushed during our visits. We would recommend recommend this practice, especially for children. My friend referred me to Caggiano Ortodontics and i am very glad I went with this choice. Dr. Caggiano is very friendly and his staff are professional which made this process enjoyable. I would definitely recommend him to my friends and co workers who wish to get braces in the future. Thanks! I had the great opportunity to have the Caggiano team work on my mouth with my Invisalign procedure. Before confirming that I would use Caggiano Orthodontics for Invisalign, I went through several different orthodontic consultations with 6-7 different doctors. Caggiano Orthodontics stuck out like a sore thumb when it came to product knowledge, teeth alignment, cosmetic procedures and in general knew a whole lot more that made you feel very confident in following through with the procedure. They are very precise in their ways and know exactly what works and what doesn’t. Dr. Caggiano has a great eye for implementing a procedure that results in STRAIGHT, HEALTHY teeth. I would recommend them to anyone looking for Invisalign. AND, do not be mislead by a cheaper price because precision, expertise and knowledgeable trained individuals will not be working on you and you will not get the results you anticipate. Although I was always somewhat self-conscious of my imperfect teeth, I never really thought that getting braces as an adult was an option for me. I thought I probably couldn’t afford it – both money-wise and time-wise. Plus, I am a big baby with an extremely low pain tolerance. But the more and more I saw myself in pictures, the more I began to entertain the idea of doing something about my smile. When I walked through the doors of Caggiano Orthodontics that first day for my preliminary consultation, I was not yet convinced I would actually get braces, but I was convinced by the sweet-as-pie receptionist to come in and at least meet Dr. Caggiano. Nothing to lose, it was free! It didn’t take much convincing. Everyone was smiling – everyone was so friendly and it seemed like this was a great atmosphere for, not only the patients but also for the staff. That’s extremely important – it says a lot about a place of business when you can tell the people who keep it afloat actually enjoy being there. I can say that getting my braces was one of the better decisions I have made. Dr. Caggiano set up a payment plan for me, so I was able to pay them off SO quickly and painlessly. The braces, themselves, did not cause me much pain at all, and I gradually started to like the way that they looked on me. Now, I am sad that my braces will be coming off. I am happy to see what my teeth will look like, but I will miss having them. They were a conversation-starter, and I was able to relate to so many kids that I met within the past year and a half…it was like having a bond and a mutual understanding with someone considerably younger, and it was pretty cool. I would recommend Caggiano Orthodontics to anyone considering getting braces. I have done so, and I will continue to do so because, simply put, they’re the best of the best. It’s rare to find doctors who actually care about their patients – and those kinds of doctors who have the same skill-sets as Dr. Caggiano are one in a million. Thank you so much for everything, Dr. Caggiano and staff! I love you guys! Wonderful, efficient, state-of-the-art, personable, professional, skillful, these are just a few of the words that come to mind regarding Dr. Caggiano and his staff. We’re so glad we chose Dr. Caggiano’s services, and would highly recommend him to all our family and friends. Thank you!! Everyone we’ve encountered has been unfailingly professional, friendly, and helpful. Very happy with Caggiano Orthodontics! First time receiving braces and all went well. clean facility, friendly informative staff and Dr. Caggiano is a pleasure to work with. I would recommend Caggiano Orthodontics. We are very happy with the staff at Caggiano Orthodontics. Everyone is very friendly and cordial. The office is very well maintained. My 7 years old son is just starting his treatment at Dr. Caggiano. I really liked how they explained the process to me but also took great care in explaining to my son what was going to happen step by step. They were very patient and answered all the questions he had about his upcoming treatment. I recommend Dr. Caggiano and his staff. My daughter, Julieta, is very excited as she may have her braces off very soon. Thank you Dr. Caggiano!! We are very grateful to you and your staff for making the whole process painless. Wonderful, caring doctor with exceptional staff. Everyone was very nice to me when I got my braces and my distal jet. It took a long time and it hurt to keep my mouth open but everyone was very nice. They all explained everything to me so I would know what was going on. They called me the next day to check on me and see how I was doing. Dr. Caggiano and the staff are very patient. My teeth were very crooked and Dr. Caggiano helped me. He let me know every step he was doing and I was surprised it didn’t hurt as bad as I thought it would. I was nervous that I was going to have to have the braces on for a long time but I only need them for about 2 years. It’s been only a couple of months and I can already see a difference! I chose Dr. Caggiano over other orthodontists because of the friendly staff, service and because my kids felt comfortable there. My children love signing in themselves because it gives them responsibilities and they always fight over who goes first. I feel like they are in great hands with Dr. Caggiano. He is pleasant and easy to talk to about the steps to follow in their treatment. The staff is wonderful and the wait when we go is minimal. Always a pleasant appointment which run very close to scheduled time. Everyone in the office is very nice and work hard to make appointments as convenient as possible. We only wish other such services are similarly professional. Dr. Caggiano and his staff are wonderful! I would highly recommend his office to anyone for orthodontic treatment. My last visit to the office was an emergency visit to clip the ends of my top wire. I got an appointment the same day my mom called. Every time I go I get to see Dr. Caggiano. He’s funny and always smiles. He explained what he was doing and what would happen at my next visit. Very friendly, professional and helpful staff. Doc was great, straight forward and to the point. Great job – Mike’s teeth look fabulous and the whole process went very smoothly! Dr. Caggiano is a great doctor. very satisfy with the professional services provided. Dr. Caggiano recently took care of my 7 year old daughter. His staff is very professional and they made the process very seamless. We are very happy with this practice. The staff is super nice and they take care of you. Dr. Caggiano is a great orthodontist and his work proves that. The patients actually look forward to coming in to see everybody. They’re like a second family to some. Dr. Caggiano is excellent! They made sure everything is going well with my treatment and answered my questions. The dental office environment is also friendly and relaxing. Highly recommend Dr. Caggiano to my friends and family. Dr. Caggiano is very nice, friendly and explains everything step by step. He will do his best to do what you ask of him. I am very pleased with his work. The office and staff are just as helpful and always happy. The office is also very clean!! I have and would definitely recommend Dr. Caggiano to friends. 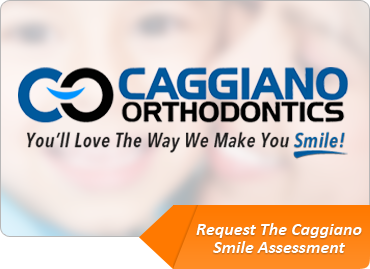 We are extremely pleased with the services provided by Caggiano Orthodontics. All the staff members are courteous, professional and take their time to answer all questions. They fast, always on time, and trustworthy. We love them!!! We honestly have no complaints. Dr. David Caggiano is simply the best! My daughter’s teeth turned out beautiful!!! He is brilliant in his field and has great bedside manner with the parents and the kids. He leads his team in a professional, knowledgeable and friendly manner. His staff is polite, professional and always has a smile on. We were very pleased we were referred to him. Our experience has been positive in all aspects. We just love Caggiano Orthodontics. They make my son feel comfortable and take the time needed at each appointment to take proper care of his teeth. They are able to make appointments convenient to your schedule even if we call for a broken brace they can fit you in right away. My son is going to have a million dollar smile when Caggiano Orthodontics completes his braces. Always a pleasant experience! This is a doctor’s appointment that I never mind going to. The office is always on time. The staff is very friendly and accommodating … and Tatum loves Dr. Caggiano! I went in after school to have my pallet expander checked. Dr. Caggiano go me right in and out and make the adjustments that he needed to so that my pallet expander would work better. Dr. Caggiano took his time with us, and explained answers to all our questions. Another great visit at Caggiano Orthodontics. Everyone is very friendly and we were in and out in no time. The staff was extremely professional, friendly and the office is very clean. My daughter was extremely nervous in the beginning of her appointment but it was quickly turned around. I am very happy with my decision to switch to this office! I enjoy coming to the office. I feel extremely comfortable. I always look forward to coming. I’m very excited to get my braces off and get beautiful results for my mouth. Front desk staff is, as always, first rate! The best of the best work there. From Dr. Caggiano, to the assistants, techs, insurance staff, to the girls that work the desk. I have never been to an office more warm or friendly and the most totally competent! Everyone I’ve met in the office has been friendly and knowledgable. I’ve never had an excessive wait time for an appointment. Dr. Caggiano is always friendly and I’ve been pleased to see the progress on my teeth. We are so very pleased with Caggiano Orthodontics. Our daughter Gaby has been seeing Dr. Caggiano about 6 months and her teeth are already so noticeably straighter! The staff are friendly and efficient, and the office is run very organized. I am so happy we chose Dr. Caggiano. Everyone in the office is always so very nice to me and very friendly. I was just there the other day and Stephanie and Dr. Caggiano took great care of me, they always make me feel comfortable…Thanks. I just LOVE THIS PLACE!!!!!!! I am happy with the service, the people…EVERYTHING! No flaws at all! Now a note from her mom…EXCELLENT staff! They calmed her nerves, talked to her, and took the time to explain everything. They will be a great team for her to be part of. Also, the state of the art systems, communications and interaction is WONDERFUL! We made the right choice for our Special Needs daughter!!! Great visit! In and out quickly and efficiently. For the past year, I have been going to Caggiano every 6 weeks or so, getting my braces checked. I never really had a bad thought when going or when i was there. I was never hurt at check ups and the people are so nice! Whenever i needed to change an appointment, the staff was incredibly caring and understanding! Caggiano Orthodontics is a great place with great people!! This was the best experience I have had at an orthodontist and I have been to quite a few. They are extremely welcoming, friendly,and knowledgeable. It was a great experience and I am very happy with the results!